We like to think of ourselves as somewhat hip. Trendy without being fashionable and pretentious. Imagine our delight when we were approached by Crosley Radio, a global brand with all the qualities we imagine we have. 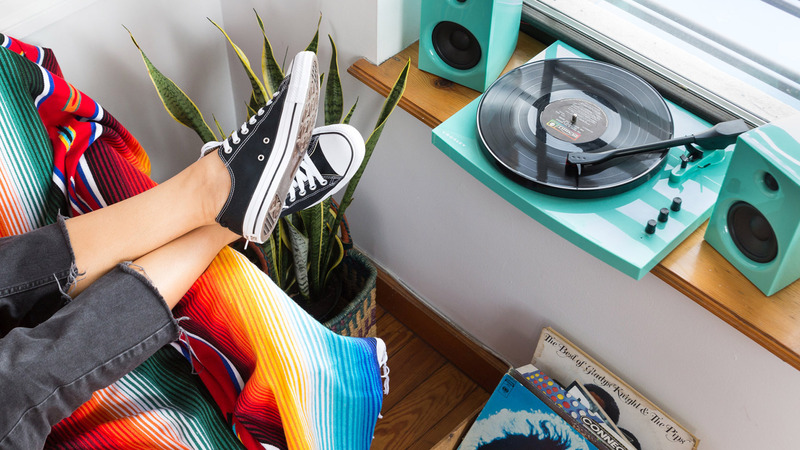 Crosley sells its audio equipment around the world, with a major US presence in Target and Urban Outfitters. Although it’s recognized as a premier brand for the way it looks (their stuff sounds really good, too, we might add), their graphic brand and website fell far short of the bar they represented emotionally to consumers (cool stylish brands need to look cool and stylish, right?). They also recognized how important it was to connect with their market through social media — and not in the usual topical way, but by integrating an appropriate presence into their brand. It’s an overused word, for sure, but what does it mean to be cool? It means expressing who you are, who you really are, the thing that makes you just that little bit different from everyone else. And one of the best ways to do that is to make sure the things in your life reflect and even amplify your personality. Now, we don’t claim to be great at everything, but if there’s one thing we do really well it’s making cool stuff for people to carry around and have near them where they live and work. Most of what we make is based on sharing music — because we got started in this business based on the realisation that sound is probably the easiest and most enjoyable way for people to share their personalities. So we design and build things that not only let people play their music wherever they are, but allow them to share a little bit extra about their senses of style as they do it.